Words with JAM: Diversity Pt 1: Come on guys: you've had 200 years of misrepresenting us! Diversity Pt 1: Come on guys: you've had 200 years of misrepresenting us! Spread the Word, diversity in publishing is once again a hot topic. The report, Writing the Future: Black and Asian Writers and Publishers in the UK Market Place, paints a bleak and depressing picture. It shows that the profound changes the publishing industry has undergone in the past ten years has resulted in an industry that is less, not more, diverse. Inevitably, and despite what are no doubt some good intentions, lack of diversity in the industry means lack of diversity in books. And in our increasingly multi-ethnic societies, that is damaging. In Part 2, I talk to Farhana Shaikh, MD of Dahlia Publishing, based in Leicester, which champions diverse and regional writing in the UK. Come on guys: you've had 200 years of misrepresenting us! 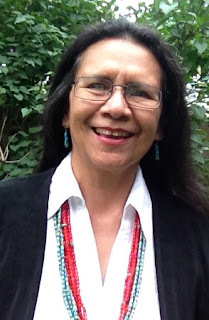 Debbie Reese runs the widely respected blog American Indians in Children’s Literature. A former Assistant Professor of American Indian Studies at the University of Illinois, she is tribally enrolled at Nambe Pueblo in northern New Mexico. Hi Debbie. Can you start by telling us why you believe it’s important that there should be authentic portrayals of indigenous people in children’s literature? White children see images of themselves in nearly every book they pick up. It’s their norm. It’s the air they breathe. Native children see stereotypes of themselves in books. They rarely see themselves accurately portrayed. The damage that that does to your existence is significant. Native children drop out of school in alarming numbers.. Native suicide is sky high. Native scholars argue that a factor in the high drop out rate is that children become disengaged in school and that is tied to a lack of accurate representation of Native cultures in text books and literature. Take an ‘American classic’ like Little House on the Prairie, which contains the phrase, ‘The only good Indian is a dead Indian’ – I challenge people to try reading that aloud with a picture of my daughter looking at them. It takes you out of the abstract, into the real, and should make the person uncomfortable and deter them from using it—with any child, Native or not. When I started graduate school in the 1990s, my goal was to look at family literacy – the interaction between parents and children during story time. But U of Illinois at the time was one of the universities that had an Indian mascot - Chief Illiniwek. I was shocked by depth of ignorance and the lack of awareness of the demeaning nature of stereotypes. 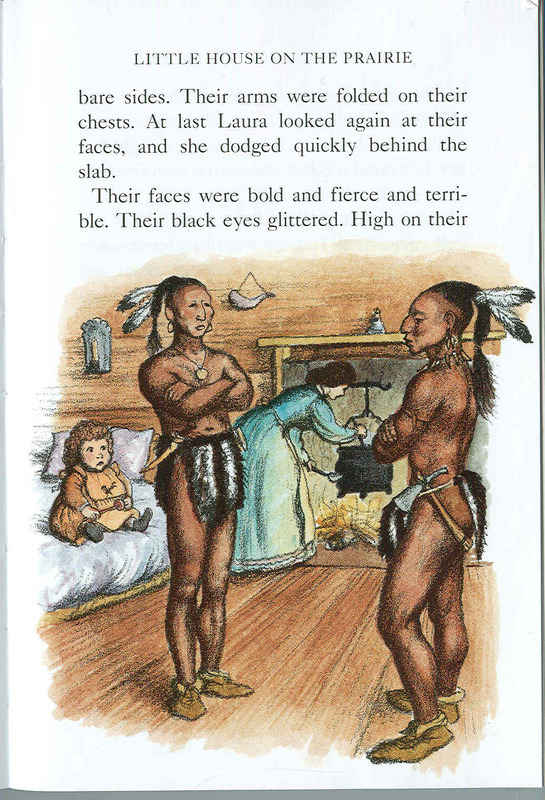 That led me to look explicitly at stereotypical imagery in children’s literature – and there was a lot. I began writing about it on email listservs, but I wanted to engage more efficiently with the wider community about these issues. 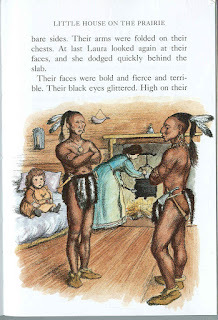 So in May 2006, I launched American Indians in Children’s Literature, where I try to connect what I see in children’s books with research in history, education, and psychology. For example, research has shown [Stephanie Fryberg, 2002] how exposure to stereotypical imagery (such as Indian ‘mascots’) has a negative impact, for indigenous students, on measures of self-esteem and self-efficacy (i.e. the belief that you can change the world), while having a positive impact on non-Native students. In other words, they engender feelings of inferiority in one group and superiority in another. Mascots fire you up, yes – but not in a good way! You are often highly critical of work by non-Native writers. Does that make people uncomfortable? Yes. Writers are afraid of me. And they should be! I say that not from a mean space. But, come on guys, you’ve had two hundred years of misrepresenting who we are, and our kids are in crisis. I am going to talk about the things you get wrong – even if it is just one phrase in a 300 page book. That one phrase is a drop in a sea of phrases and images that Native kids have to contend with. Fear that paralyses is not good, but fear that inspires writers to do better is good. Stepping away from misrepresentations, let’s consider topic. When you look at books by contemporary Native writers, they are writing primarily about Native life today, and bringing their experiences and values to that book. In contrast, Non-Native writers are so often writing historical fiction, or retelling traditional stories, which they, erroneously, view as similar to folk and fairy tales rather than stories equivalent to those from other world religions. I, and many Native people, don’t want people to fixate on traditional stories – we want people to know what we are dealing with now! That we’re still here! We have lost so much, but we persevere and thrive. We are fighting so hard to keep what we have. Those are the stories we want people to read. Using loaded or misunderstood words (squaw, brave, papoose, tipi, savage...) Even the use of the word Indian glosses over 500 federally recognised tribes and multiple languages. Distortion of history – like rose-tinting the horrific experiences of residential schools. Even superficially sympathetic stories can be patronising, such as when a white person is cast as the hero or rescuer of Native people. Is it ever possible for a writer not from an indigenous background to write authentically (or at least well) about indigenous people? Should they even try? Yes, I think it is possible, but at this point in time, I do not encourage it because I want all kids to come to know Native people by way of Native writers. Non-Native writers mean well, but here’s some things to consider. So caring about Native people and our ‘plight’ – a word that makes most of us bristle, because it puts us over in that abstract space – is not enough. Second, even if you do have that relationship, you have to be very mindful of the research that you do. A lot of writers will go to sources that are written by non-Natives, like the stories that were collected by the Bureau of Ethnology in the 1800s. A lot of children’s authors think these are authoritative sources, but there was a lot of bias in the original recording process. Using them means that you have biased material from the get-go, and then in re-writing the stories for today’s audience, you insert your own bias. Then, likely, you are writing without a Native audience in mind, and that creates its own problems. Another thing to consider is this. Some authors will spend time on reservations, make friends, write their book, and then ask those people, many of whom are young, to be their beta readers. In the abstract, it sounds good; on the ground – utter failure. In the first place, Native youth are taught to be respectful to adults. This respect inadvertently functions as a barrier to honest feedback. 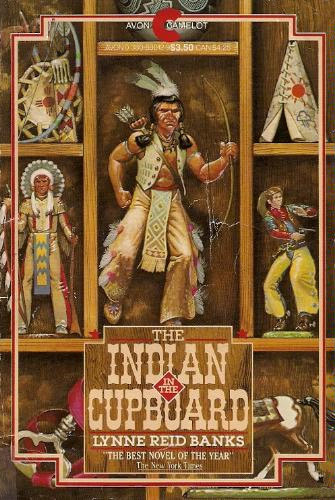 In the second place, those beta readers are not trained to look critically at children’s literature, and to spot subtle and explicit ways in which Native people are misrepresented. Finally, when it comes to doing research, there are protections in place from research institutions [Federal Policy for the Protection of Human Subjects, or 'Common Rule'] which protect vulnerable populations, including indigenous groups. Tribes themselves also have research protocols, which may require that research proposals be agreed to by the tribe, and/or the finished manuscript be reviewed by the tribe before publication. There is a lot of political engagement going on over who has authority over Native stories. We are sovereign nations, and are protective of stories that are our intellectual property. Is there a danger that, even when they do it well, writers from the dominant culture writing about indigenous communities will drown out authentic indigenous voices? Yes. People object to my featuring or prioritising Native voices. They accuse me of being discriminatory. But my response is that I am working within a framework that seeks to provide Native youth with models that they can follow – the idea that they can be writers, for instance. There’s a benefit, too, for youth who are not Native. When you hold up a book by a contemporary Native author and talk about the author and people in the story in the present tense, it immediately pushes against the idea that Indians are all ‘dead and gone and vanished.’ You can place them within a specific Native nation and pull up their nation’s website, which shows that Native people use technology, just like anyone else. Using books by Native writers expands the possibilities for learning in a way you can’t with non-Native writers. What changes would you most like to see in schools, libraries etc that would enable more authentic indigenous voices to be heard? I’d like to see schools using books by Native writers. There are way more books by non-Native writers than there are by Native writers, and the majority of what you find in those books is problematic. The content of those books masquerades as ‘knowledge’. Trying to interrupt that body of misinformation is really hard. So I would like to see a lot more activism about that in schools, with teachers using books by Native writers, and walking students through critical analysis of popular books with problematic content. In short, I’d like to see a lot more education about stereotyping and what that looks like. I’d like to see teachers boldly using critical literacy with those books. For example, a colleague suggests breaking the class into groups, each of which studies one chapter of a book, analysing the language that is used to describe Native and non-Native characters and comparing it. Breaking it up that way is important. The problem with reading books like Little House on the Prairie from cover-to-cover in order to deconstruct stereotypical images in it, is that children begin to identify and empathise with characters in the book, and that can affect their ability to think critically about point of view and language or content that is biased. And what about the publishing industry? What changes would you like to see there? Have you observed any positive shifts? Right now, there is a new emphasis on big and bold steps in terms of diversity. It’s not the first time this has happened, but it’s there, and with the help of social media, I’m optimistic that it will lead to change. A while back, Native parents in Alaska challenged four supplemental books from McGraw Hill, on the grounds that they misrepresented Native people and Native history. Eventually the books were returned to McGraw Hill, and the parents undertook to write books for the children in those communities to replace them. I wrote about this on my site. A few weeks ago, McGraw Hill wrote to me, asking me to introduce them to some Native writers because they wanted to do better. That is a huge plus. 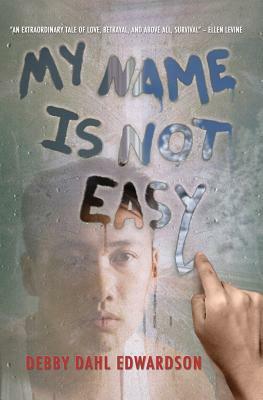 Because of my blog and my activism, I can introduce emerging writers to editors at publishing houses. 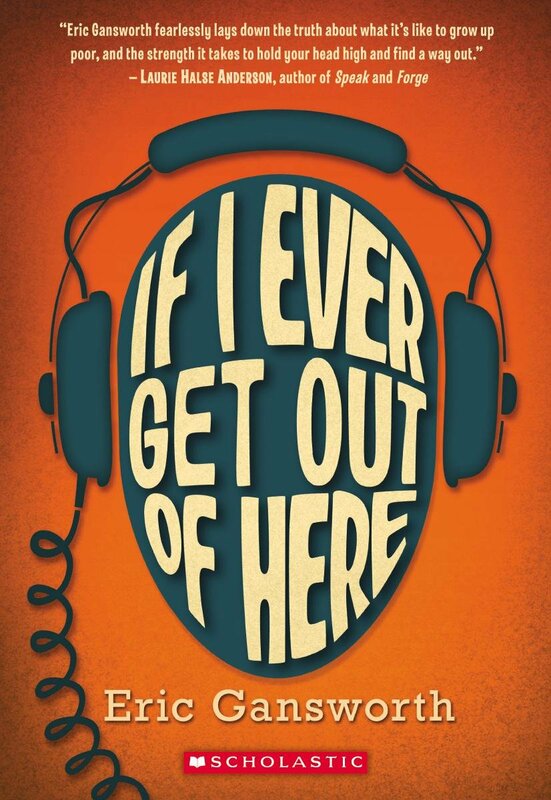 One of the books I facilitated in this way was Eric Gansworth’s If I Ever Get Out of Here. But we need to get a more diverse range of people sitting at the table in publishing houses, making decisions. There is a group called We Need Diverse Books who are promoting this through an internship program that provides grants to students from diverse, underrepresented backgrounds who wish to pursue a career in children’s publishing. We also need people in the industry to talk about these issues, openly, in big meetings. For example, there is a book called Curious George Learns the Alphabet, first published in 1963. It has a page: ‘T is for Tomahawk,’ which used to show George dressed up as a stereotypical Indian with a feathered headdress. There has been a change made to the latest edition, so that now the picture is just of the tomahawk. But it was done on the quiet. Nobody talked about why it was being done. And publishers need to be looking in different places for writers and to understand the issues we care about. There are Native conferences in education, in law, in Native studies generally, and there are Native writers’ conferences, where editors can attend, listen, and learn. Just get out of your offices and go where those conversations are happening! If this has whetted your appetite, here’s small sample of books from authors highly recommended by Debbie Reese. To find more, why not explore her blog? Look out for more of my reviews of these books on BookMuse in the coming weeks.